Our goals and dreams should stretch, prod and challenge us. They should take us to our limits and beyond, forcing us to reconsider what we consider ourselves capable of. Doing great things requires going into the unknown, of pushing ourselves and our abilities, and yes, that means there will be moments where we are uncomfortable, where we struggle, and where we are inundated with doubt, insecurities and fear. Don’t be afraid to set goals that scare you or make you uncomfortable. Those are precisely the ones that change the world. The road most traveled is the road to mediocrity. If you want to achieve the same results as everyone else, simply do what everyone else is doing. 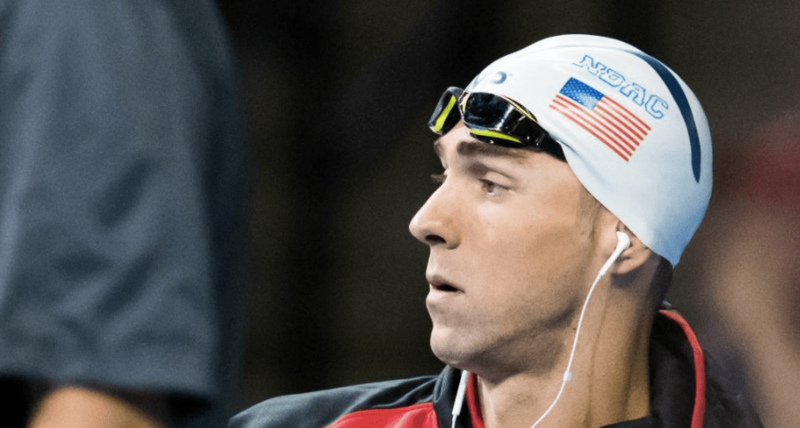 However, if you want to achieve special things with your swimming, you must be willing to step above and beyond what is considered typical or standard. When things aren’t going great we tend to get lost in the performances of our competition. We start imagining them as bigger than life, that they are more deserving, more talented than we are. 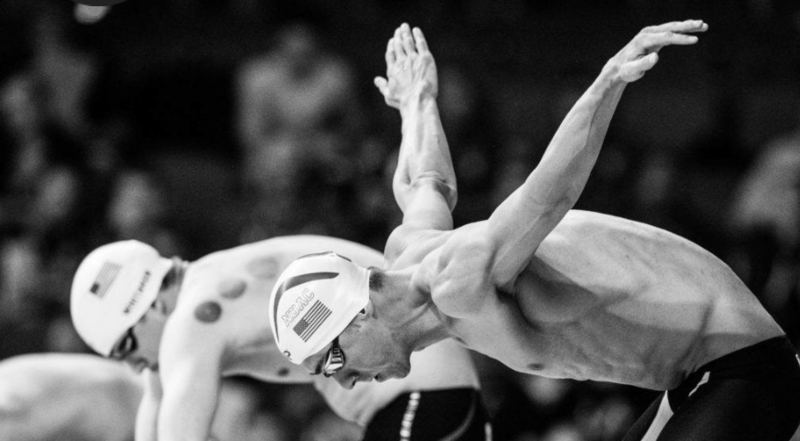 Instead of wasting energy and time on what the swimmer in the lane next to you is doing, direct that energy inwards and work on maximizing everything within yourself. At the end of the day you will never be able to completely control the outcome, or what the competition does. But if you step up on the blocks knowing that you have done everything possible to make the most of your abilities, your swim will be a success whether you come in first or eighth. The pain of regret, of the what-if’s, of wondering what may have been had you made a better effort, will always be worse than the strife you will face in the middle of a workout. 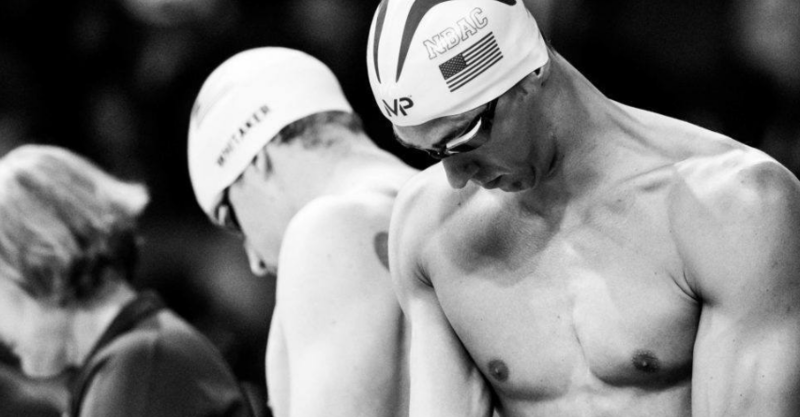 Our swimming goals, no matter where they land on the scale of greatness, should be utterly and profoundly ours. They should belong to you – not your coach, parents, or friends. Trying to achieve somebody else’s idea of excellence will leave your motivation flat and engagement short-lived. Once you find that which you are passionate about, lock in on it and continue hammering at it until completion. 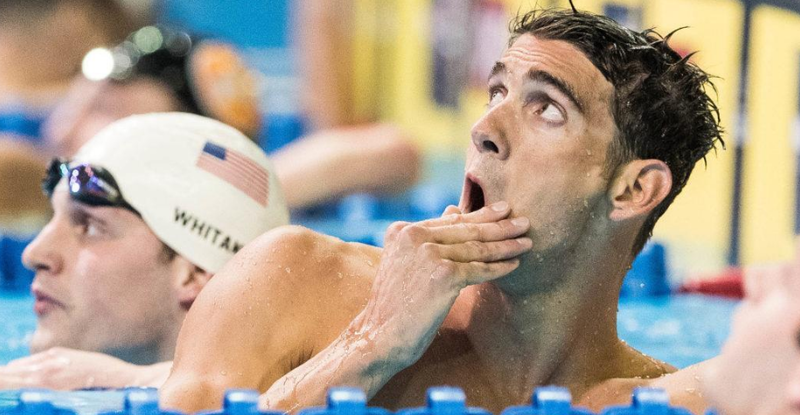 Phelps, despite his superhuman achievements, is human, just like the rest of us. 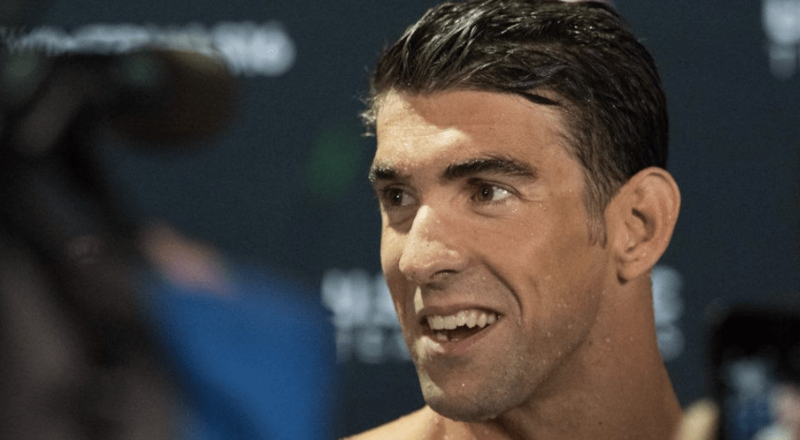 He made mistakes out of the pool, while also falling short on his initial attempt at Spitz’ record at the Athens Games in 2004. We all stumble at various points in our swimming career. What matters not is what happened or who is to blame. What only matters is what you decide to do next, how you decide to react to the setback or failure. We all take our lumps and bruises, what matters most to your long term swimming success is if you are willing to plod on in spite of it. You will always encounter negative people both in life and in the pool. Anytime you upset the status quo or challenge someone else’s idea of what is possible you are going to find resistance and negativity. Perhaps they have limited ambitions of their own. Jealousy. Or you are chasing something they were never able to achieve. Whatever the case, it doesn’t really matter what their motivations are. Until provided with concrete, 100% proof that you are incapable of achieving your goal, act as otherwise. All too often when we are faced with a challenge we fall back into the well-worn position of saying “I can’t.” Those two words are comfortable, familiar, and instantly saps you of any forward momentum. When faced at a crossroads when you feel the doubt flooding in, stop yourself for a moment and ask if the set, practice, or goal is something you can’t do, or something you don’t want to do.